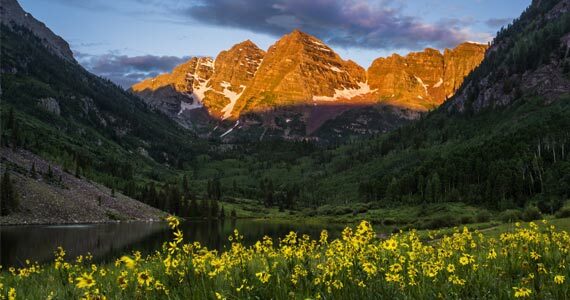 The iconic Maroon Bells, often referred to as the most photographed peaks in North America, are an extraordinary destination not to be missed during a visit to Snowmass. 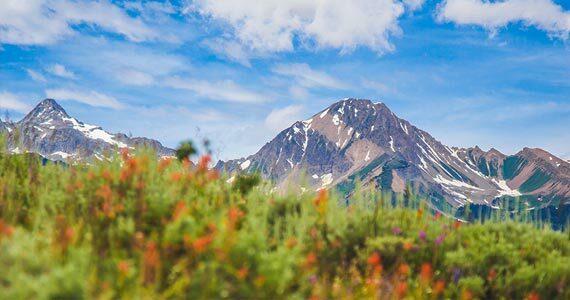 The best way to see the Maroon Bells is via the bus tour from Aspen Highlands. 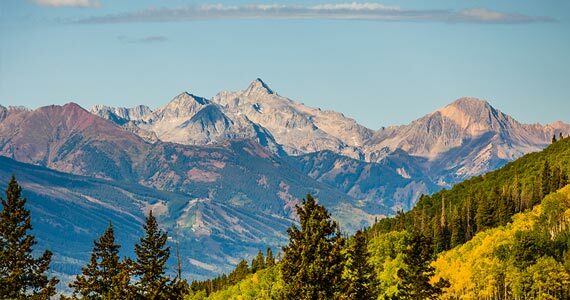 No matter where you stand in Snowmass, there are truly endless views offered in all directions. Here, we've detailed our top 5 favorite views that you can't leave without seeing. #1 Zen Views The views reveal themselves gradually as you ascend the switchbacking Rim Trail. Whoever named Sky Mountain Park wasn't particularly imaginative but, man, were they accurate. 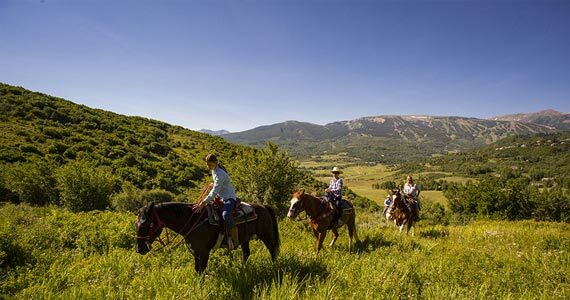 Sky Mountain Park boasts 15 miles of mountain biking, hiking and equestrian (bring your horse!) single-track trails on the north side of Snowmass Village. Each trail impresses with mountain views from the moment you hit the dirt. Wildflower season typically starts in May and ends between September and October. In celebration, we have created a small wildflower guide to help you when you’re out on the trails. Whether you're hiking or biking, you are sure to run into these beauties all around Snowmass. Snowmass provides several key elements of a memorable and seamless trip at no cost to you. Between transportation, entertainment, learning centers and kid-specific programming, we've put all the pieces together for you to ensure you'll be talking about Snowmass for years to come. 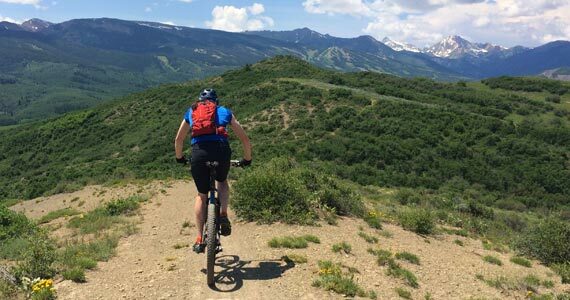 The list of things to do in a Snowmass summer is endless. Here are just a few suggestions to ensure you don’t miss out on some must-do experiences: #1: Hike the Rim Trail to Spiral Point and stand on a giant marble yin yang to take in a spectacular view. 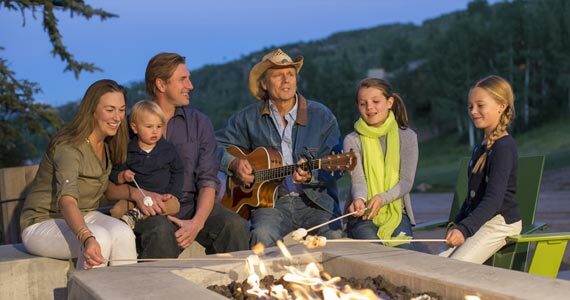 Snowmass is a haven for the kiddos, with kid-specific activities, guided adventures, learning centers and so much more. Here, we detail the top 10 kids' activities in Snowmass: #1: Splash in the outdoor heated pools, shoot hoops or scale the climbing wall at the Snowmass Village Recreation Center.